The Korg Kaossilator 2 and the new Korg Mini Kaoss Pad 2 have now been released to the public for everyone in the World to have lots of fun with these pocket-sized units. They both retail at $160 and are available via resellers worldwide. 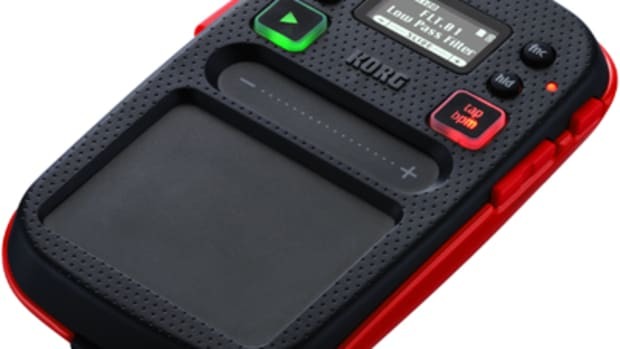 The Korg Kaossilator is a mini synthesizer that people can use to create and loop sounds into works of art while the Korg Mini-Kaoss Pad 2 is made as an effects processor for any sound source you put through it. Check out the video and link inside for more details. The Korg Kaossilator 2 and the new Korg Mini Kaoss Pad 2 have now been released to the public for everyone in the World to have lots of fun with these pocket-sized units. They both retail at $160 and are available via resellers worldwide. 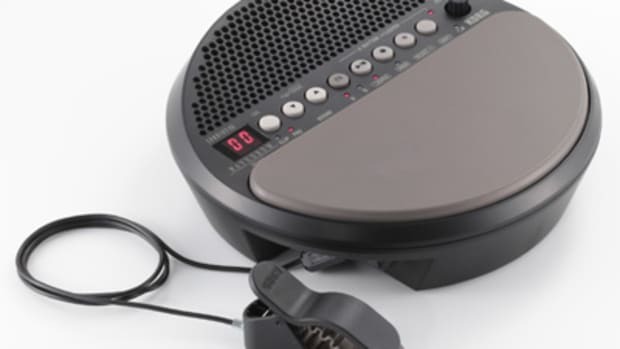 The Korg Kaossilator is a mini synthesizer that people can use to create and loop sounds into works of art while the Korg Mini-Kaoss Pad 2 is made as an effects processor for any sound source you put through it. Check out the video and link below for more details. and a variety of international retailers. 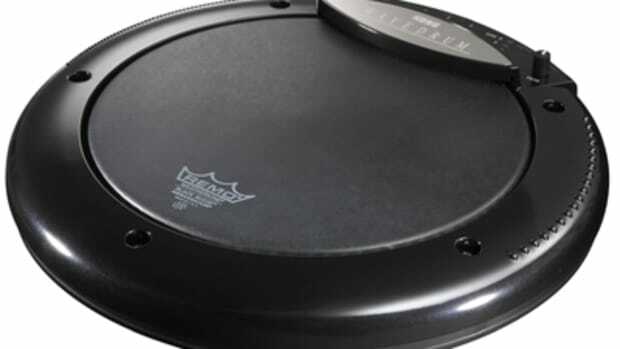 Everyone knows just how much I love the Korg Kaoss Pad, and now it's gotten even better. The New pocket-sized Korg Mini Kaoss Pad 2 has the same cool effects functions and features with a lot more innovative quarks that will be a big hit with DJ's and other users. The Mini Kaoss Pad 2 still has the fingertip effects, can work on two-AA batteries, and can work with any mixer, instrument, or audio player that can use the 1/8-inch stereo input. 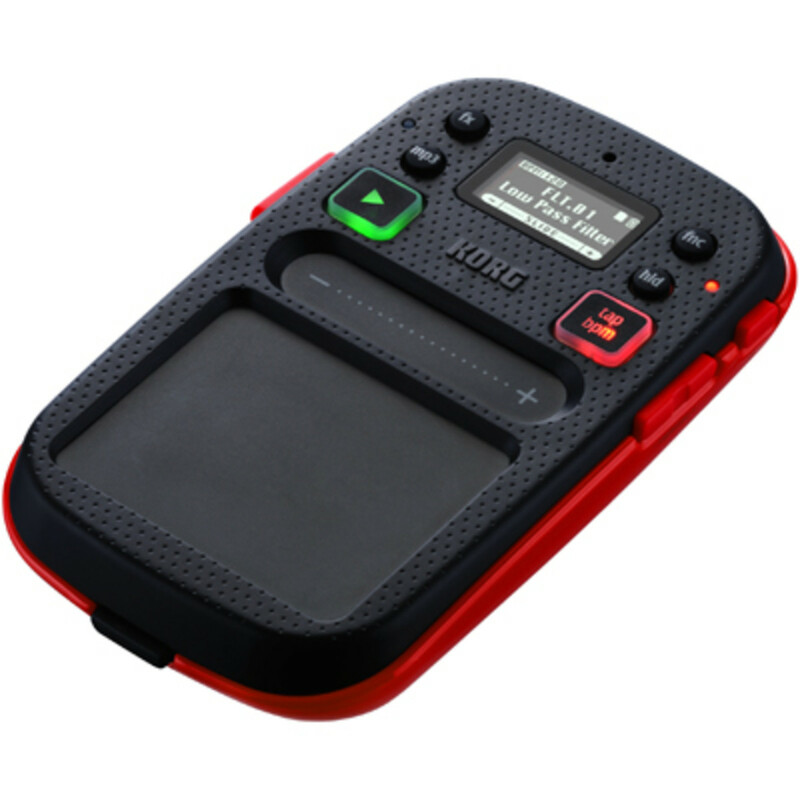 The Mini Korg Kaoss Pad 2 also has a built-in MP3 player, mixer, and a cue point that can store and playback as much music as you want on the microSD card slot. Straight from the NAMM 2011 show, the new Korg Kaoss Pad Quad has now been released and is on store shelves across the US for immediate purchase. The new Kaoss Pad Quad, which employs new effects, functions, and features that let users create their own combination of Kaoss effects with simultaneous control of up to four effects in real-time using a single fingertip on its touchpad.. The Mini Innofader is a user replaceable long life and low profile fader that can fit into many different mixers and controllers to give users a very durable and adjustable upgrade option. 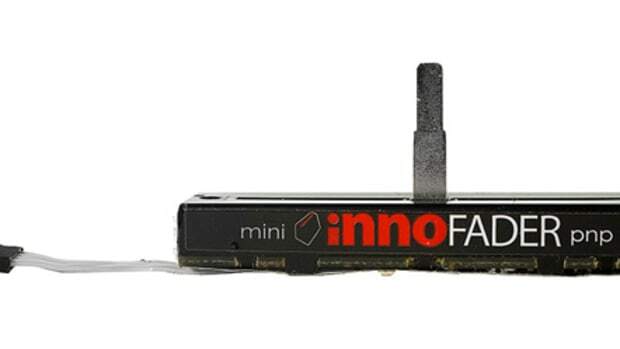 The Mini Innofader PNP is like a slimmed down version of the bigger Innofader so that it can fit into smaller spaces, but it still retains the solid/smooth contruction, the ability to adjust the cut-in distance, the polarity, and the sharpness of the curve. My personal favorite effects machine has received a new update. 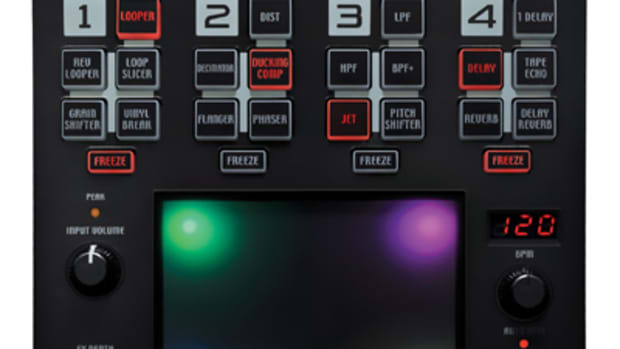 At this year's NAMM 2011, Korg introduced the new Korg Kaoss Pad Quad. This new Kaoss pad has new features and all new effects which allow the user to select and manipulate up to four effects simultaneously and in real-time. Even though my Korg KM-202 mixer with Kaoss pad serves me well, I might just jump on one of these for a review. Details and Press Release, and Videos inside. The iMS-20 App for the apple iPAD just got a little bit nicer. The new iMS-20 update gives the App full MIDI control over the MS-20 synth knobs and controls. 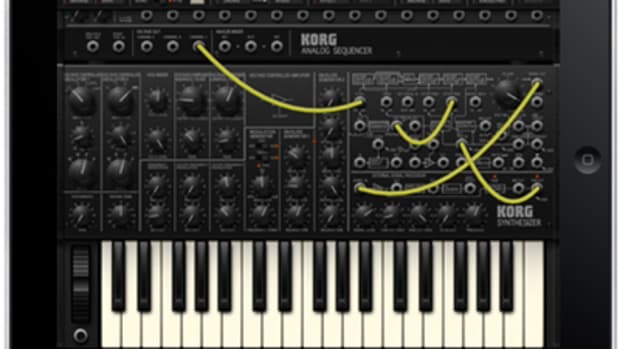 The iMS-20 is a complete music production application for iPad, which consists of a Korg MS-20 analog synthesizer, an analog sequencer(Korg SQ-10), a drum machine (with pads), a seven-channel mixer with effects, and Korg's Kaoss Pad technology. (50% off for a limited time only...details inside).